Products Groupon Has Launched since Its IPO Filing: Are You Impressed? Groupon Rewards launched Sept. 28. Groupon's IPO today -- the largest since Google in 2004 -- raised $700M and gave the Chicago-based deal company a market value of $12.7B. The price has jumped from $20 to as high as $31 a share, trading at about $26 a share at press time. But what has Groupon done since its IPO filing June 2? We compiled this list of Groupon's products and features launched in the past five months (and included the one acquisition). Are you impressed, or do you think Groupon could have done more if it hadn't had the distractions of accounting questions, a leaked memo, etc.? Tell us in the comments. 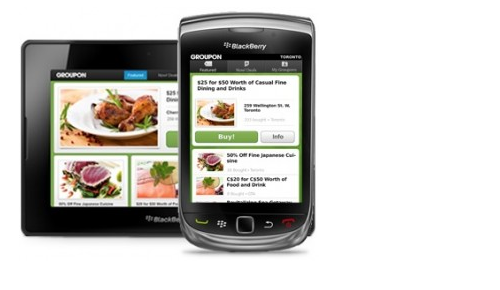 App for Blackberry smartphones and PlayBook tablets -- Oct. 25. Groupon Rewards for unlocking special Groupon deals through repeat visits -- Sept. 28. Groupon Goods for discounts on products like digital cameras and guitar packs [ but some of these deals aren't that great ] -- Sept. 28. Acquired Ruby on Rails software development company Obtiva [ most likely to bolster its development team ] -- Aug. 4. 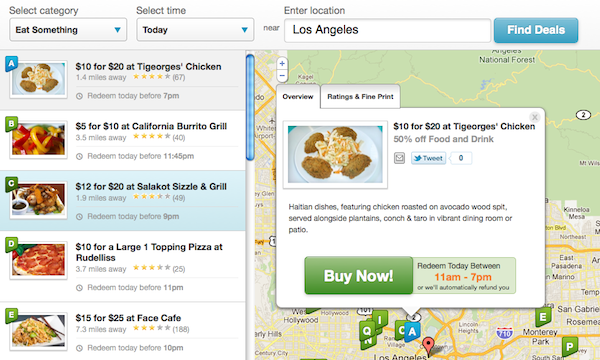 Foursquare integrated Groupon Now, which started rolling out real-time deals in May, into its mobile app -- July 29. Groupon Getaways with Expedia, announced in June, for discounts on hotels, airfare and other travel services [ the service increased Groupon's revenues accounting for $9.6M in July ] -- early July. Recording artist David Gray released a new album, Lost and Found, exclusively on Groupon -- June 27.